Diagnosed with bladder disease when she was nine months, Amani, went on to develop chronic kidney infection. 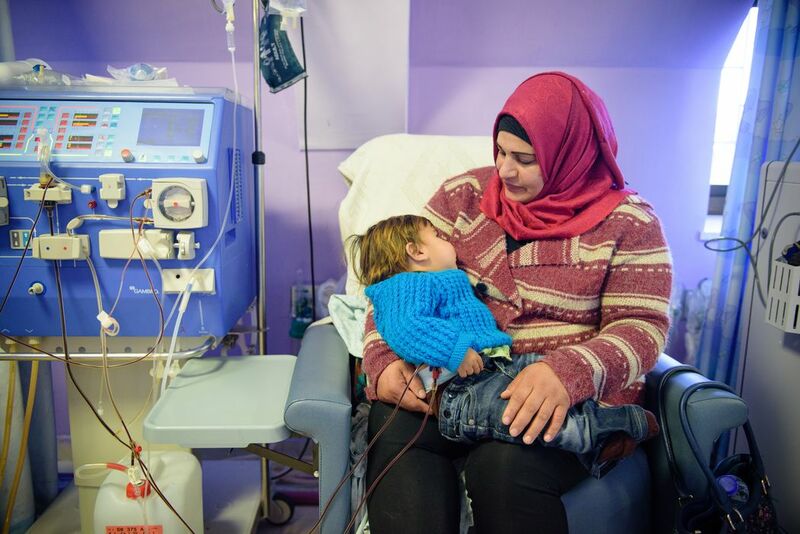 She was treated with medicine until the age of 10, at which point she needed dialysis, which she has been receiving at Augusta Victoria Hospital. She recently turned 15 and celebrated her birthday at the hospital with her mother. 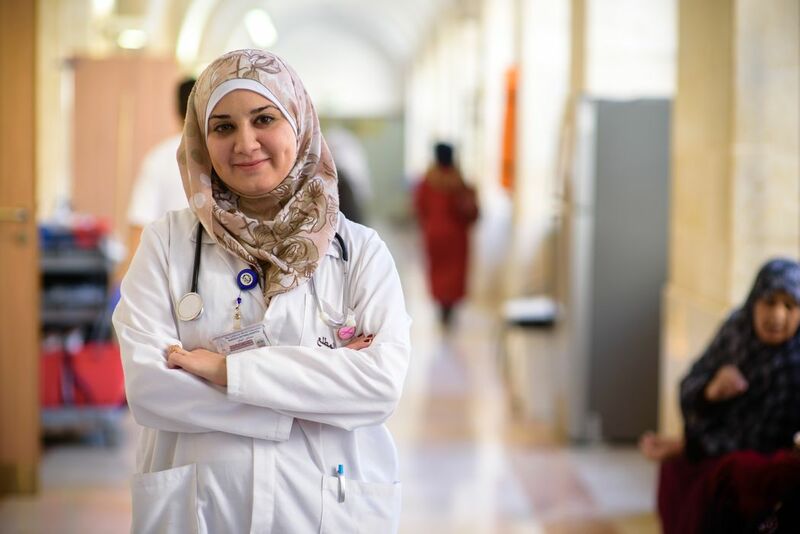 They live in Bethlehem, with her mother being the only one who has a permit to come to the hospital. 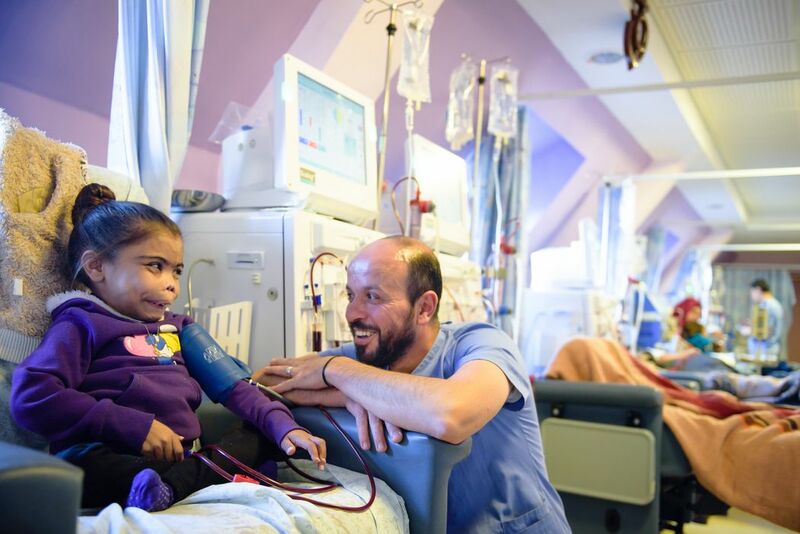 Nurse Tareq Mufareh has been working at the AVH for 20 years, spending the past 10 years on the children's dialysis ward. He's from Bethlehem but lives in Jerusalem. A mother comforts her son during his dialysis session. 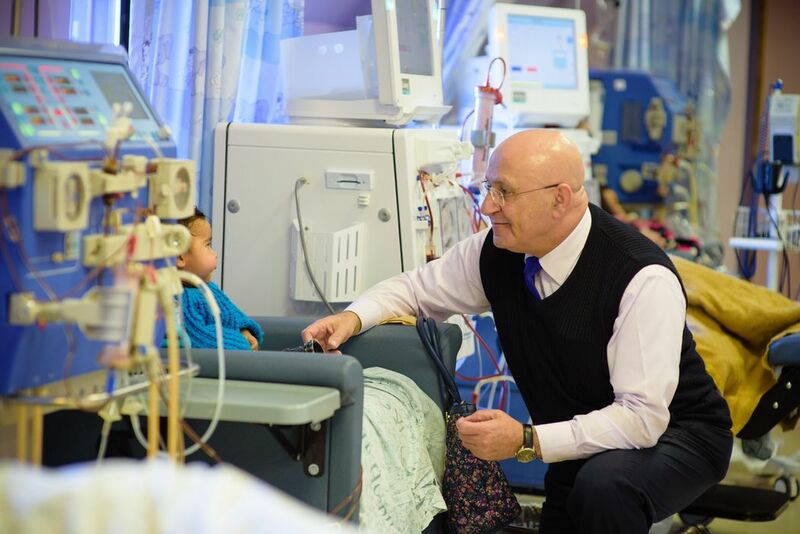 In 2015, AVH provided dialysis for 62 children. 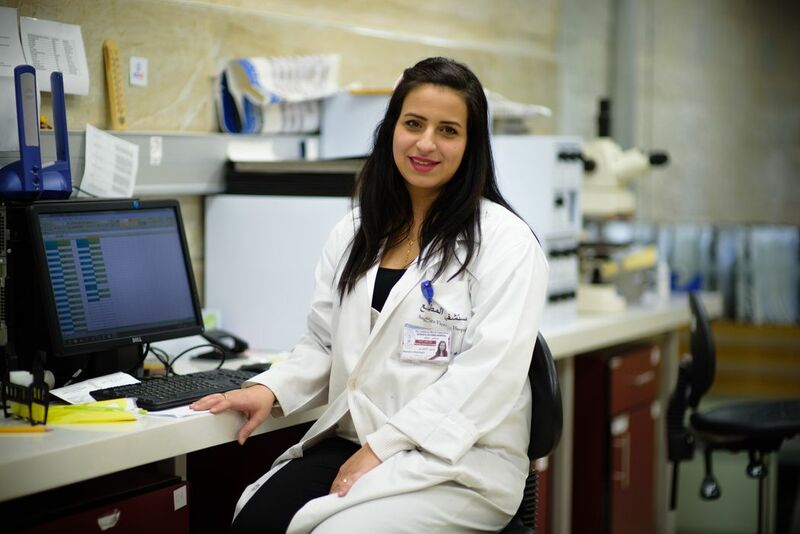 Rawand Alardah is in her third year of residency in internal medicine at AVH. She hopes to continue with a three-year fellow program specializing in oncology. The drive to continue specializing is personal. Alardah lost her mother to cancer. Led by psychologist Shoushan Franji, parents and young patients, like this child, use art to express their feelings. A patient awaits radiation therapy at one of the medical linear accelerators at AVH. 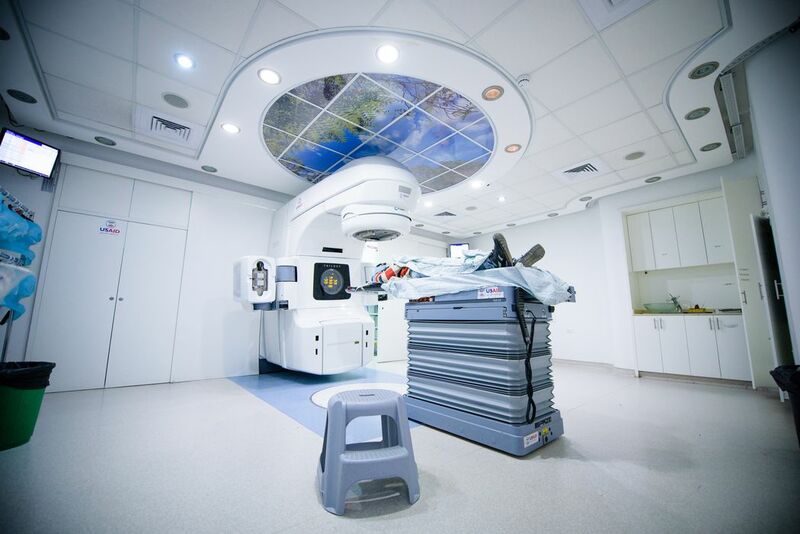 In 2015, over 1,220 patients received radiation therapy treatment at AVH. A boy plays with plasticine during a therapy session led by psychologist Shoushan Franji. Young patients and their parents use art to express anger, sadness and hope. Mostly, it is the mothers who accompany their children to the hospital. They often get upset and cry during sessions. With many children at home, the workload on women with chronically ill children is immense. Psychologist Shoushan Franji leads an expressive art session at the hospital. Franji is head of the psychosocial team at AVH. 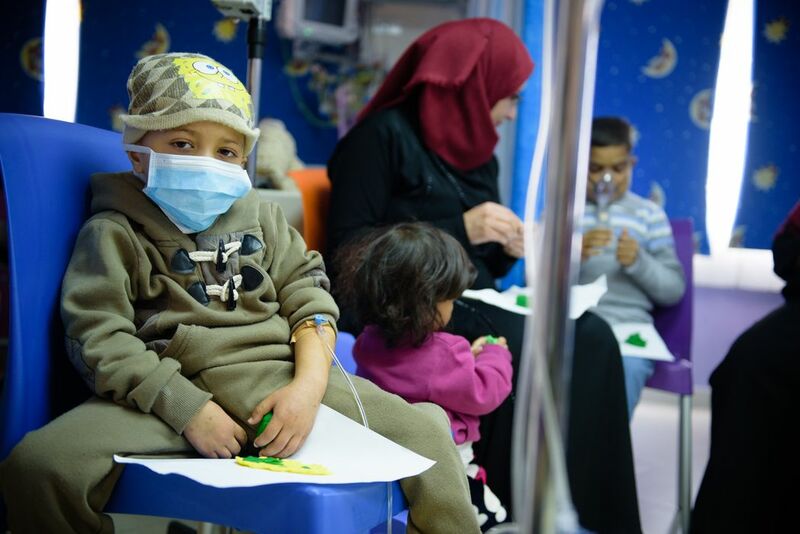 One role is to help patients find transport, accommodation and make arrangements for their stay in Jerusalem. 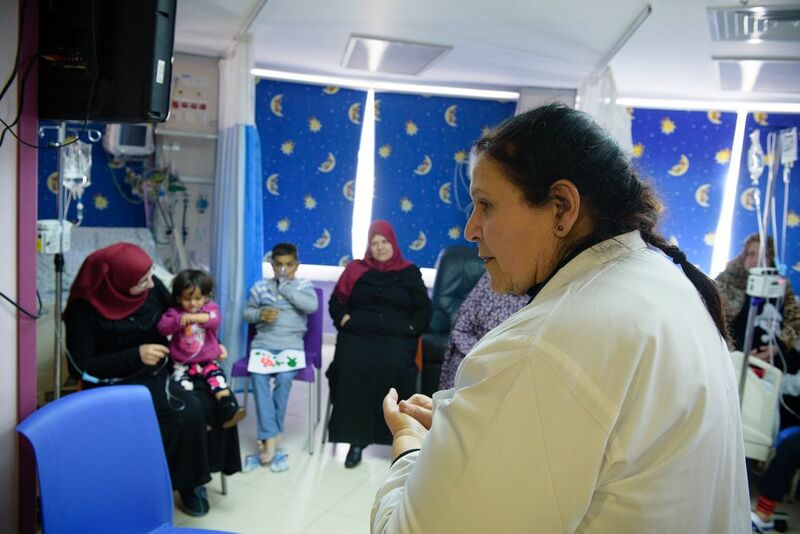 As well as helping families deal with economic hardship and the trauma of continued conflict and violence, psychosocial staff address the myriad of challenges that patients and their families face when diagnosed with a severe disease. Haneen is a technician in the molecular lab. She studied in Chicago, United States, and has been working at the AVH since 2011. She examines biopsies and provides cancer diagnoses, in consultation with pathologists at the hospital. Their findings determine treatment and prognosis for patients. She is happy about the new facilities at the hospital. Good ventilation, more space, and nice colleagues make for an excellent working environment. She hopes their lab can become a reference lab for Gaza and the West Bank.